All the other running games with a few new twists. One of the reasons Despicable Me: Minion Rush has enjoyed so much success on the App Store is the sheer amount of variety it offers players: multiple environments, more obstacles, boss-fights and far less repetition than you'll have come to expect from games in the genre. It's an awful lot like a proper video game, in other words. Fortunately, Despicable Me isn't the only running game that offers up plenty of depth and variety. If you're done with the game and want someone new to get stuck into, here's our pick of the best runners with legs. We feared that any attempt to tinker with the winning formula of the original Robot Unicorn Attack would doom the sequel to disaster, but we were wrong. Instead of one cheesy soundtrack to gallop your fantasy unicorn across the landscapes to, there's a handful of them, and you won't hesitate to hand over a little cash to unlock the kitsch delights of NeverEnding Story. 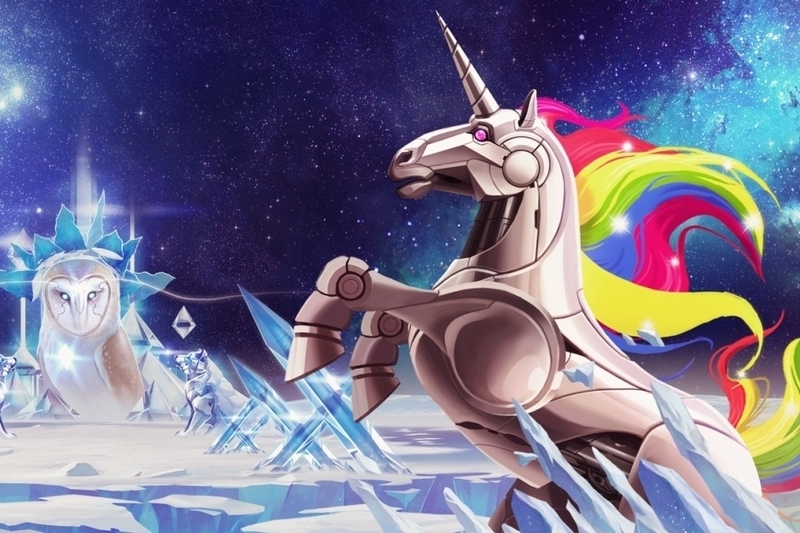 Gorgeous artwork and silly gameplay make Robot Unicorn Attack 2 an unmissable addition for your running game collection. Only a running theme connects Polara with Despicable Me: Minion Rush, but frankly we'll take any opportunity to extol the virtues of this very clever - not to mention sadly underrated - puzzle platforming runner. You'll need to guide your futuristic runner through deadly traps and laser beams across a huge number of 2D worlds, switching character colors to avoid being fried to a crisp. Like patting your head and rubbing your tummy at the same time, Polara takes delight in teasing your ability to stay on top of the action - you'll be left astonished at the inventiveness of this must-have game. Temple Run 2 certainly introduced a few new twists and turns to the established gameplay of the fan-favorite franchise, but it took a move tie-in title to really bring the format to new life. In this Disney-branded adventure, you'll need to take control of Oz and run him through some gorgeous landscapes straight from the film, dealing with a huge number of traps and enemies along the way. There's even a balloon ride mini-game to jump into if you have a head for heights. Whale Trail's switch to a freemium business model certainly annoyed a large number of its existing playerbase, but on the plus side it allowed a whole new audience to get in on the action. Featuring a insanely catchy soundtrack from Super Furry Animals' Gruff Rhys, a pair of meaty singleplayer game modes, and a huge number of skills to unlock and evolve your flying whale with, you'll be mesmerized by this enchanting game. Sonic Dash is packed full of all of the series' creatures and characters you've come to love over the years - not to mention a massive dose of that all essential speed as you whizz your way through the game's landscapes. Play as multiple characters from the Sonic universe, take part in game challenges, and spend all those precious rings on some seriously sweet power-ups.